Ever wonder how your colleague flies through online forms? Or how the parent at your kid's soccer game manages to snap photos so quickly? They may be utilizing a trick or shortcut you never knew existed. In this issue of the Pulse, we present a TED talk by bestselling author David Pogue sharing his Top 10 time-saving tech tips to help you get the most out of the devices you use daily. 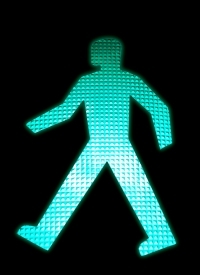 Research has shown us that our personal bias can be detrimental to the decision-making process. Because of this, we know the good old pros-and-cons list is no longer the most effective way to plot a course. So what can we do to ensure we are making the best choices? 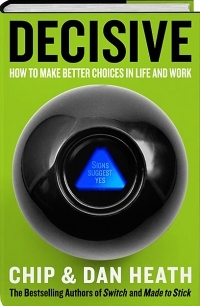 In this issue of The Pulse, we look at Chip and Dan Heath's new book, Decisive: How to Make Better Choices in Life and Work, and how their WRAP Process can help fine-tune your decision-making journey. You may not consider sitting at your desk a high-risk activity but studies show that spending your day in a stationary position can be dangerous to your health. In this TED talk, Nilofer Merchant shares a simple concept that could result in big health benefits: The Walking Meeting.